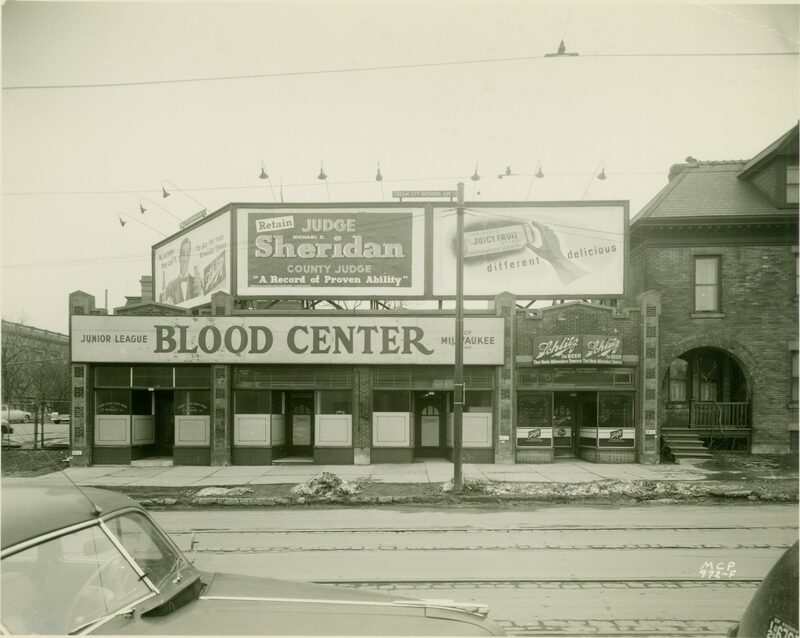 In 1947, the JUNIOR LEAGUE of MILWAUKEE founded a blood center to deliver blood from donors to patients. By 2012, the BloodCenter of Wisconsin annually provided more than 300,000 units of blood to medical centers in 29 counties. It also investigates health treatments and conducts scientific research. For example, in collaboration with other research centers, Blood Center staff discovered a rare blood group phenotype (1961), completed the first bone marrow transplant for aplastic anemia using non-related donors (1981), and produced the first treatment for Protein C-deficient infants (1983). ^ The Milwaukee Junior League terminated its formal sponsorship of the BloodCenter in 1954 to pursue other projects. “Blood Center Director Will Be Honored,” The Milwaukee Sentinel, April 6, 1949, 11; BloodCenter of Wisconsin, “A History of Advancing Patient Care,” accessed July 1, 2013; “League Leaves Blood Center, Eyes New Job,” The Milwaukee Sentinel, May 11, 1954, 1. ^ BloodCenter of Wisconsin, “BloodCenter of Wisconsin Facts and Achievements,” accessed July 22, 2013. ^ BloodCenter of Wisconsin, “A History of Advancing Patient Care”; WSAW-TV Local News and Weather Authority, “Wanted: Blood,” accessed July 1, 2013. Sever, Lowell E. “ABO Hemolytic Disease of the Newborn; An Analysis of a Series of Cases from the Milwaukee Blood Center.” M.A. Thesis, University of Wisconsin-Milwaukee, 1968.